Of all the various kinds of abandoned spaces around the world, some of the most striking are the abandoned giants of modern architecture. Steel and glass still shining, every door in its place and functioning, windows intact. No litter, no graffiti, not even a crack in the concrete allowing grass or vines to enter. In the case to be presented in this article, there are no windows or doors, but you get the point. It’s a brand new thing. 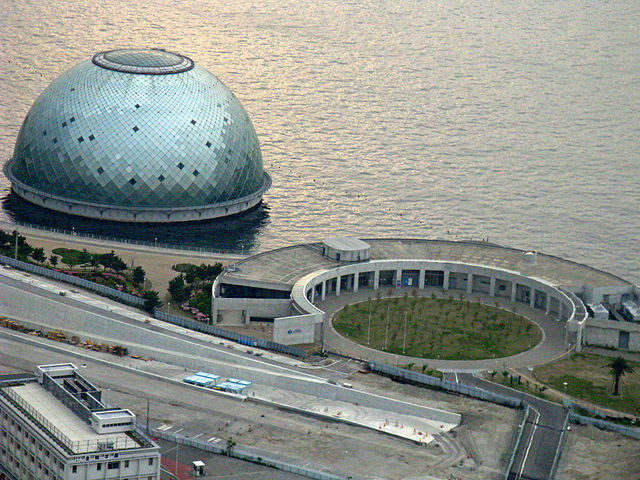 The Osaka Maritime Museum is one of the very few modern and completely new buildings that are standing alone and abandoned. Construction on this masterpiece of modern architecture started in March 1998 and in just two years the museum was officially opened on July 14, 2000. One can say that it was a child of the new millennium. Two more years passed and in 2002 the building, designed by French architect Paul Andreu, was awarded a Structural Special Award by the Institution of Structural Engineers based in the United Kingdom. Where to even start with describing this crazy out of this world “floating” glass dome of a museum. Maybe with the statistics. The cost of the building an incredible sum of 12.8 billion yen. 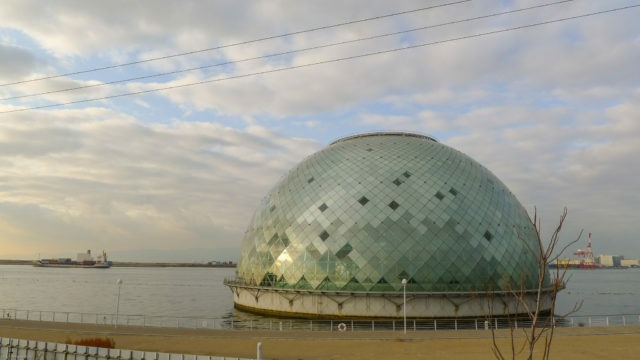 The dome itself is 115 feet (35 meters) tall and 230 feet (70 meters) in diameter, encasing four levels. The exterior of the dome was constructed on land and later lowered onto the interior of the dome, which was built on site. 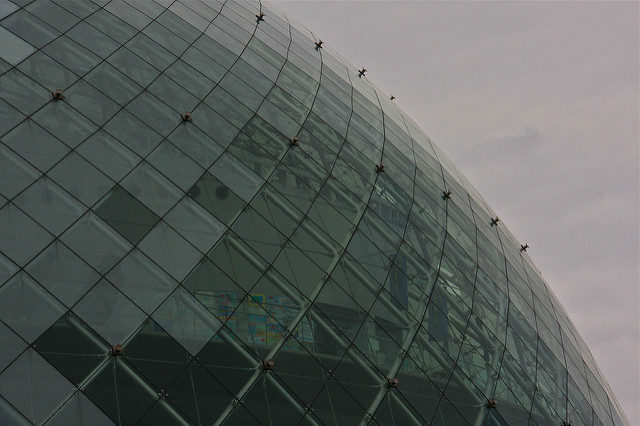 Shaded glass panels that form the outer layer of the dome are a story on their own. Perfectly calculated and positioned to allow natural light inside and offer a view of the Osaka bay. 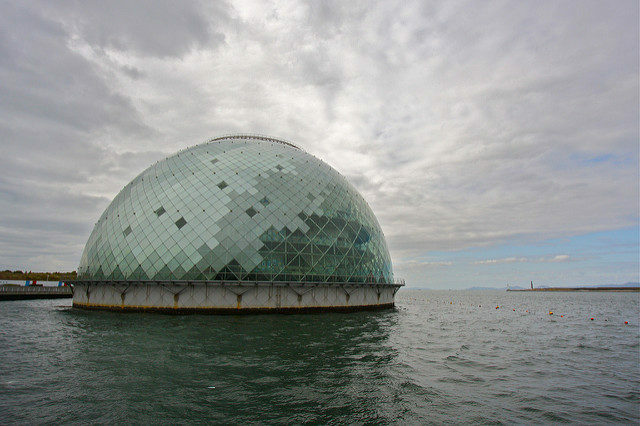 Expert engineers from two firms, Arup and Tohata, worked on the required measures, such as planting concrete and steel piles deep into the ocean floor for stability, to ensure the glass dome could resist future seismic activity typical for the island of Japan, also calculating endurance for potential huge waves and strong winds coming from the open ocean. This building would live through it all. The entrance of the museum is another great engineering story. 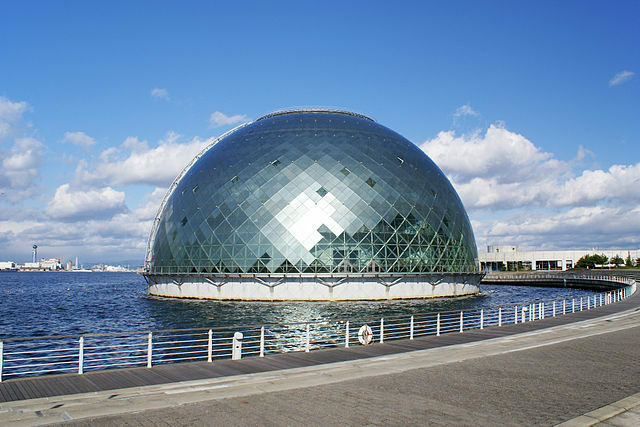 Since the dome is “floating” on water logically there should have to be a bridge or an opening for boats so people can get inside. 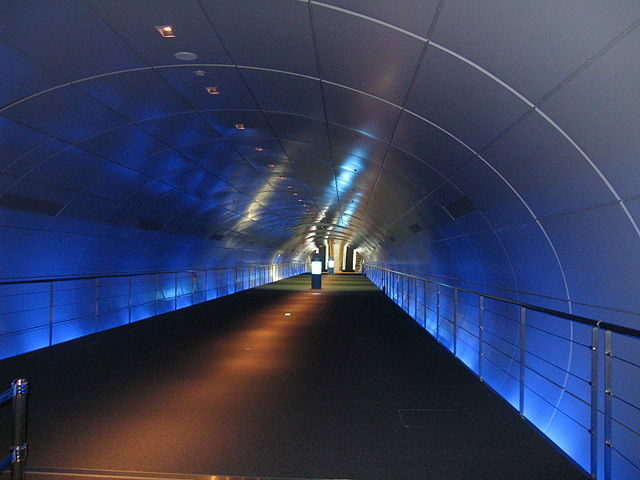 There is a bridge, but in the form of an underwater tunnel, 195 feet (60 meters) long and 50 feet (15 meters) wide. Osaka Maritime Museum offered a perfect replica of a 17th century trade ship Naniwa Maru from the Edo period as a central exhibit. So many of these trade ships were coming and going out of the Osaka’s port during this period, most of them bringing and exporting food, that it became known as Japan’s kitchen. After the museum’s initial popularity, when it basked in the glory and praises from architects and engineers from all around the world, it suddenly became a thing of the past. Like last years discarded fashion, visitors were no longer attracted to the marine history of Osaka. 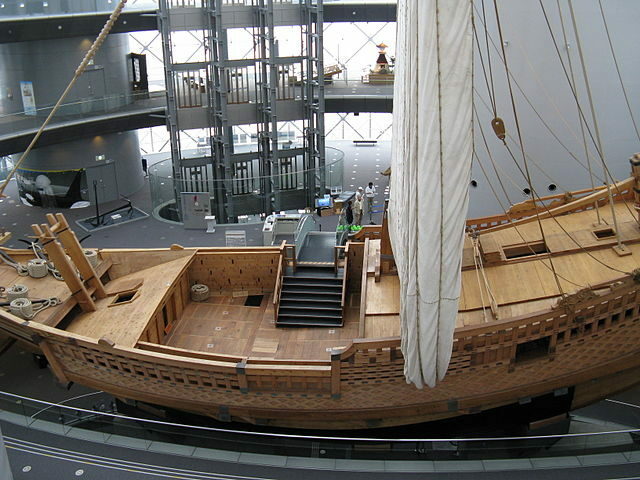 Not enough tickets were sold to keep it running and, just 11 years after opening, the Osaka Maritime Museum had to be closed due to financial difficulties.